the spot was inspired by the “work-kit,” a line of carefully designed modular workwear by white house black market. for this season, the line consisted of mainly black and white looks with the insertion of a single color…. red. the spot was shot accordingly and in just 2 days, on film, not digital, by swedish director johan renck. the film was made using various takes of the model, coco rocha, dressed in the different looks performing tap to the track by the band “the virgins.” the film was then jump-cut together to communicate the modularity of the line and the simplicity of its color palette. the ‘work setting’ was approached more theatrically rather than literally, equipped with conference table, cabinetry and even fluorescent flashing lights. after weeks of casting, model coco rocha was selected for her incredible charm, and background in dance. after just one rehearsal day she managed to repeat her moves take after take, allowing for a fluid edit despite the many wardrobe changes. 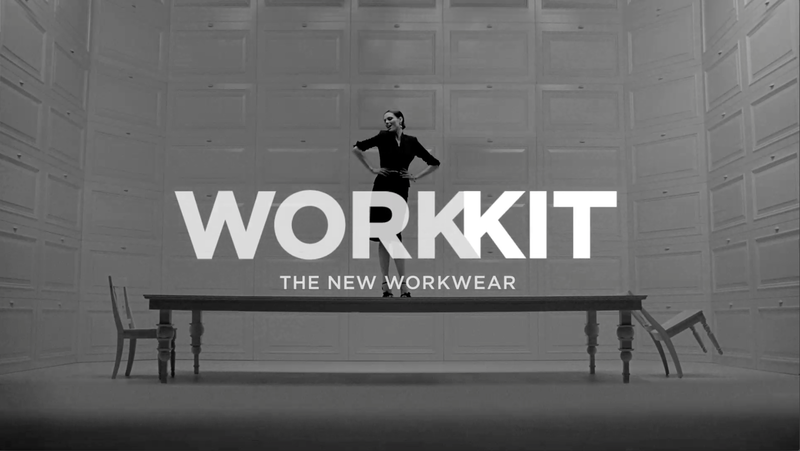 the series of the “workkit” commercials is followed by “alter ego” and concludes with third spot “the heart of workwear“. view all work related to this project.